Questions about the Ten Commandments. 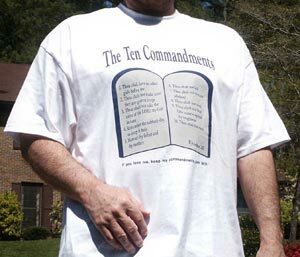 What are the rewards for keeping the Ten Commandments, for teaching them to children, displaying them in the home? What is the covenant, and why were the Ten Commandments put into the Ark of the Covenant? What is a summary of the law and the prophets? Is Love the fulfilling of the law? These questions can be answered by reading the following Scripture verses. The "Frontlets between thine eyes"
The King James Version reads thusly in: Exodus 13:16 "And it shall be for a token upon thine hand, and for frontlets between thine eyes: for by strength of hand the LORD brought us forth out of Egypt." The Masoretic Hebrew word translated "frontlets" is Strong's #H2903, transliterated "towphaphah." The definition given reads: "from an unusued root meaning to go around or bind; a fillet for the forehead:--frontlet." It is translated consistently in Deuteronomy 6:8, and 11:18. However, turning to a superior version of the Old Covenant scriptures, the Septuagint(LXX), gives us much more information on the word. In the Septuagint, Exodus 13:16(LXX) reads: "And it shall be for a sign upon your hand, and unshaken before your eyes. For by a fortified hand the Lord led you out of Egypt." Deuteronmy 6:8(LXX) "And you shall affix them for a sign upon your hand, and it shall be unshaken before your eyes." Asaleutos is also found twice in the New Covenant Scriptures, in Acts 27:41, and Hebrews 12:28. The King James translates asaleutos as "unmoveable," and "cannot be moved." Understanding the true meaning of frontlets, as unshaken, or umoveable, dispels the Jewish fables we are warned about. It is not a box to put the law into and tie to your forehead. Clearly our minds are to be fixed on the law and the covenants, Just as David expressed countless times in the Psalms. 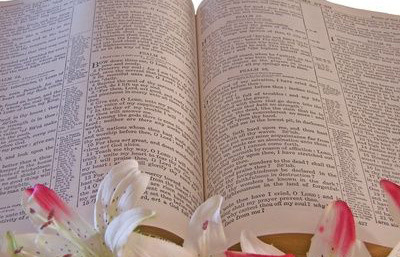 Psalm 119:97-98(LXX) "How I loved your law, O lord; it is my meditation the entire day. Above my enemies you made me wiser by your commandment; for into the age it is to me."